STV News learns the inquiry into links between a serial killer and unsolved murders is set to conclude after four-and-a-half years. 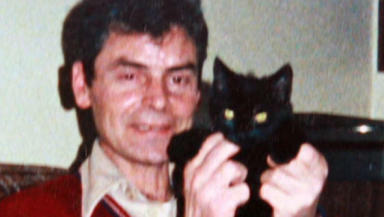 The UK-wide police investigation into serial killer Peter Tobin is being wound down, STV News can reveal. Operation Anagram was launched four-and-a-half years ago after Tobin murdered Angelika Kluk in Glasgow. It led to the discovery of two more of his victims, Vicky Hamilton and Dinah McNicol. The Glasgow-based inquiry team has now been disbanded, but systems will remain in place to investigate any new information. More recently, detectives have been examining possible links between Tobin and the infamous Bible John murders in Glasgow. The winding down of Operation Anagram means this link is unlikely to be proven any time soon. Detective Superintendent David Swindle was the senior officer who founded the operation. He said: "I would like to think that the last four-and-a-half years that we have done as much as we can, but I know that there are people out there that come with information and we have processes in place. "The bottom line is we will never give up so, when new information comes in regarding Tobin, Strathclyde Police will always be able to act on that and I am sure eventually we will find something else." Det Supt Swindle said he realised quite soon after the death of Ms Kluk in a Glasgow church that the individual - who later turned out to be Tobin - had killed before. Over the past four-and-a-half years, police officers across the UK have gathered every scrap of information they could about Tobin's life and cross-checked it against missing person cases. Every police force in Britain has been involved. In 2007, two more victims were found buried in the back garden at Tobin's former home in Margate. They were 15-year-old Vicky Hamilton, who vanished in Bathgate in 1991, and 18-year-old Dinah McNicol, who disappeared in the south of England later that same year. Tobin was convicted of their murders and is currently serving three life sentences. Police firmly believe Tobin killed 18-year-old Louise Kay, who went missing in Eastbourne in 1988. Searches were carried out last year at properties associated with Tobin in Brighton but nothing more was found. All of the families involved - including Louise Kay's - have been informed of the latest development.